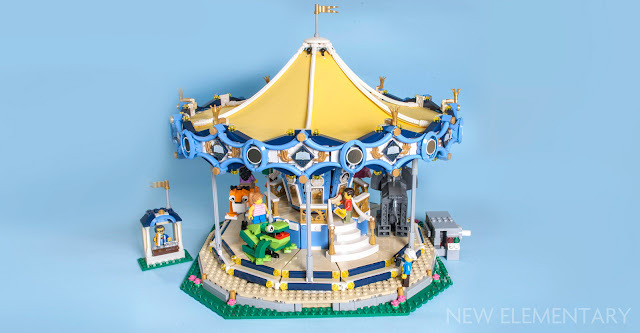 The LEGO® Creator line has been releasing an amusement park ride once a year for three years now, and this year's is released on June 1st (already available for VIPs) priced £159.99 / US$199.99 / 179.99€. 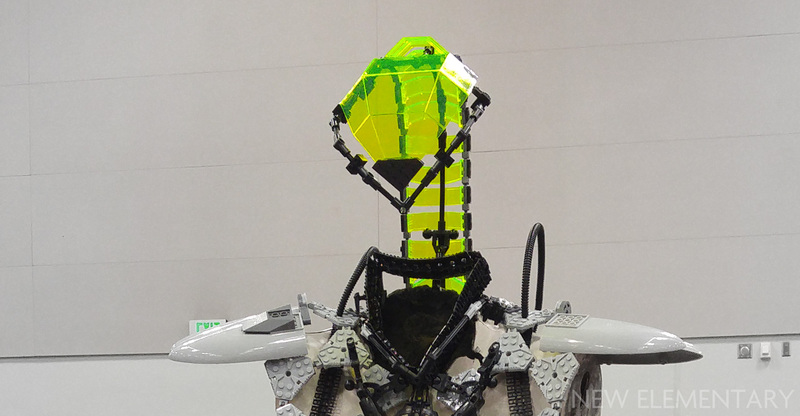 With 2670 pieces, it's massive - measuring 38cm x 35cm (14” x 13”) and 32cm (12”) tall! 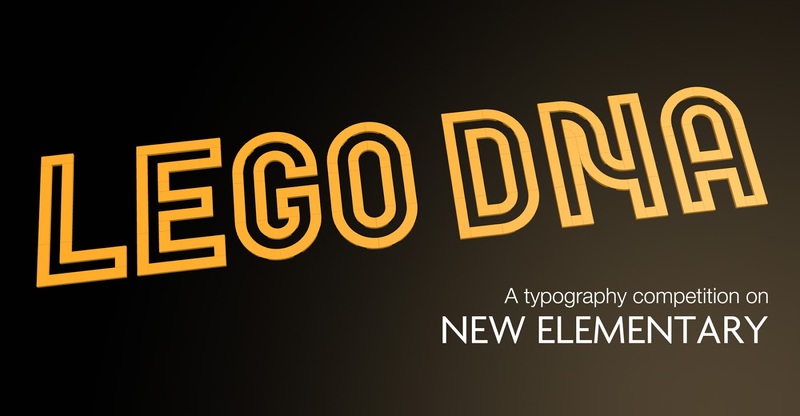 Today, Sven Franic takes a detailed look at the new elements in the set. What makes this brightly coloured amusement park ride really shine is a clever symbiosis of circles. 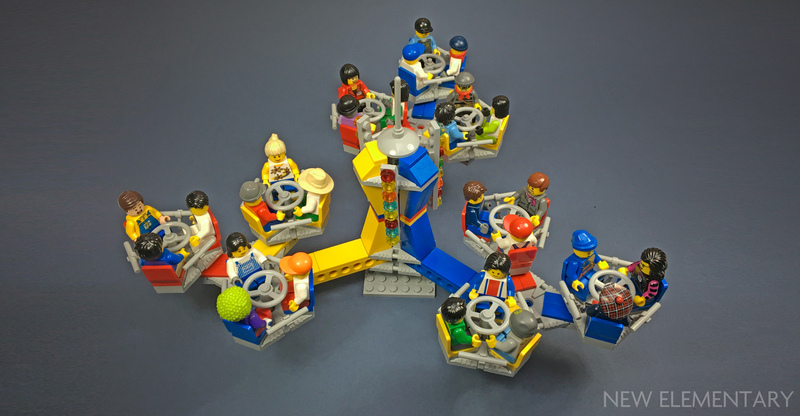 Round shapes have become increasingly less difficult to pull off in LEGO form with the introduction of many super-versatile parts which use a “hybrid” of systems. 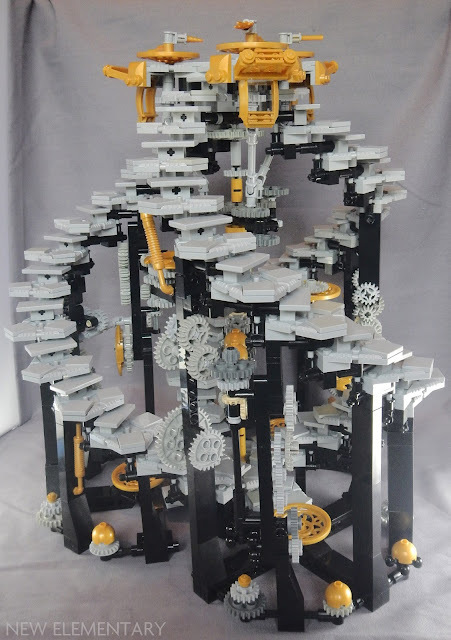 They combine both stud and anti-stud connections, as well as clip and bar or ball joint and socket connections, or delve into the world of Technic, sometimes incorporating three types of possible connection sub-systems in one brick. Take a ride with Gary Davis (Bricks for Brains) as he presents another creation for our parts festival using the LEGO® NEXO KNIGHTS™ Combo Power shield (Design ID 27255). This simple mixer ride came to mind when I was thinking about using the Nexogons to create fractal patterns. Fractal patterns occur throughout the natural world whereby one simple shape is repeated multiple times to create complicated patterns. I needed a base for the mixer and it suddenly came to me that a giant Nexogon would be a neat solution. Blast off with Elspeth De Montes as she reviews the latest LEGO® Ideas set. Elspeth examines all the new interesting and printed pieces that come in this enormous set, and then describes cool techniques used in the build process. LEGO Ideas set No.17, 21309 NASA Apollo Saturn V has finally landed after a fairly lengthy wait in production orbit. The original fan designers Felix Stiessen (saabfan) and Valérie Roche (whatsuptoday) submitted their version of the Apollo 11 Mission Model to the LEGO Ideas platform back in August 2014 and achieved the required 10,000 supporters by November 2015. After passing review in June 2016, the final set is due in stores on 1 June 2017, with 1969 parts (a perfectly calculated number to reflect the year of man’s first steps on the moon) and a price tag of US$119.99/£109.99/119.99€. This is the largest set to be released within the Ideas theme to date, both in terms of part count and the model’s impressive 100cm final height... or length. 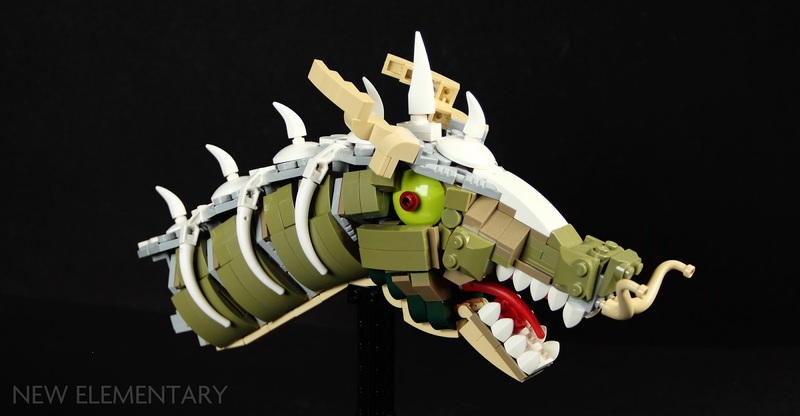 Our next post from Gabriel Thomson (qi_tah on Flickr) for our parts festival describes the results when he tried using LEGO® Rotor, W/ 4.85 Hole (Design ID 27255) to create the effect of scales. One of the first things I thought of when I received the Nexogon parts in bulk was the potential to arrange them in a scale-like pattern. I started off with a ‘spine’ of a single column of parts, and used them to create a dragon-like creature. Phew! This build used up all the Nexogons Tim sent me, and then some! 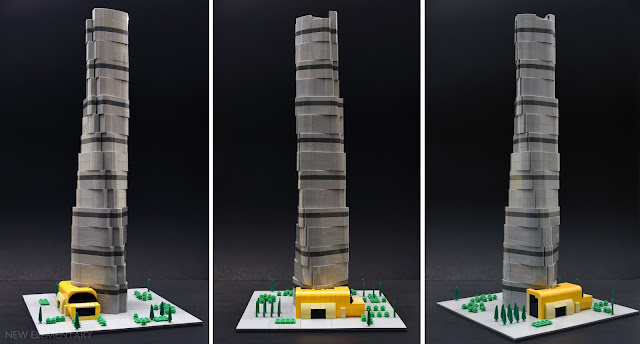 Following our run of spaceships utilising the new hexagonal LEGO® part 27255, today Li Li from MOC Recipes returns with a towering example of modern architecture! One of the buildings that I’ve always wanted to build is the Shanghai Tower, the world’s second-tallest building after Burj Khalifa. It has a very intriguing twisted shape. I didn’t have a good solution for it — until I saw the Nexogon. It’s perfect for building triangles with concentric centers. I'm taking a moment today to mention a couple of new ways you can help support New Elementary if you have the inclination and ability to do so, or even just by spending money that you already do. I hope you enjoy the site as a lot of hours go into making it informative and fun, in fact I can't begin to imagine how long I've spent on it these last four years! I do it because I love doing it, but it's work too. Despite a wonderful increase in readership of late (so far this year we've had more than double the visitors as for the same period last year), not much advertising revenue comes through. 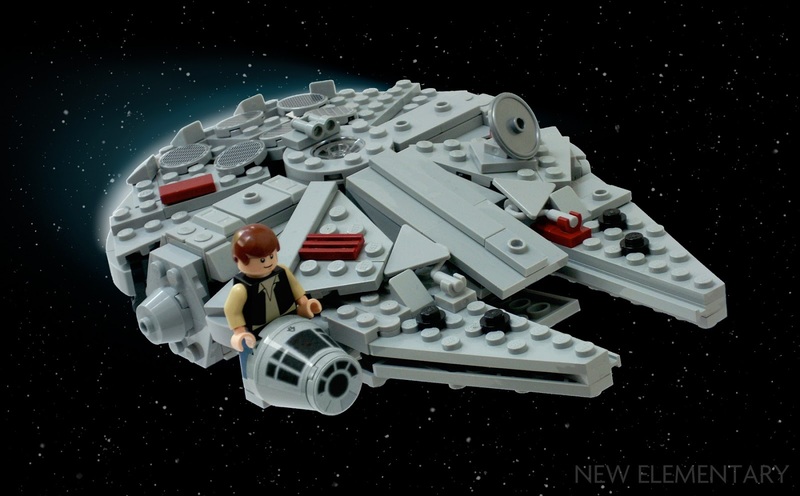 May the Fourth be with you... and for once, we actually have something Star Wars-related to share with you, courtesy of Kevin Levell and his penchant for nexogonal LEGO® spacecraft. Entry is now closed. 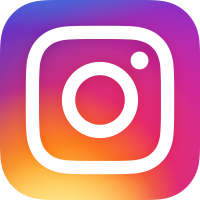 View the amazing entries we received! It's high time we ran a competition. In the last year or so the LEGO® Group have released several new tiles, and they are very cool pieces. I want you to use them to create lettering, such as this example I designed digitally. You could win 250 new LEGO tiles!